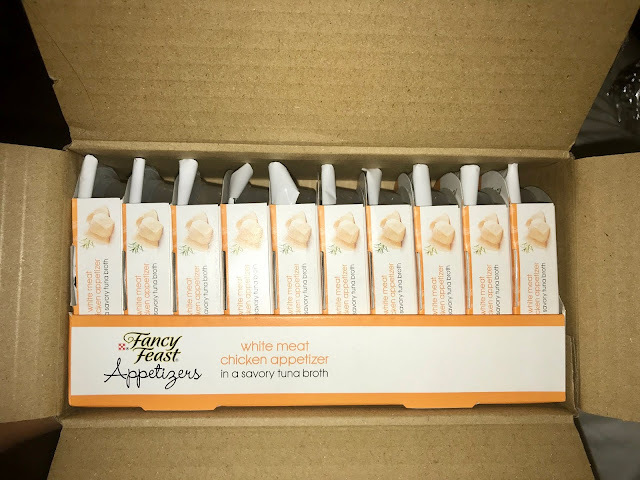 You all know that I love the convenience of Chewy.com and I love that they carry all of the brands that my pet loves. I can save money buying in bulk for my cat when I want to as well, and they even have auto ship if I choose it. Chewy carries all of the popular brands that I buy in my local grocery and big box stores. Every time I place an order with Chewy, it arrives to my home within a day or two. That is impressive. Chewy not only carries dog and cat brands, they also carry products for birds, reptiles and more. They carry food, accessories, toys and medications for pets. Here is another great product that I chose this month as a Chewy Ambassador. This is one of my cat's Favorites! When she sees me grab it from the box she gets so excited! My kitty loves Fancy Feast and her chicken snacks are something she looks forward to. 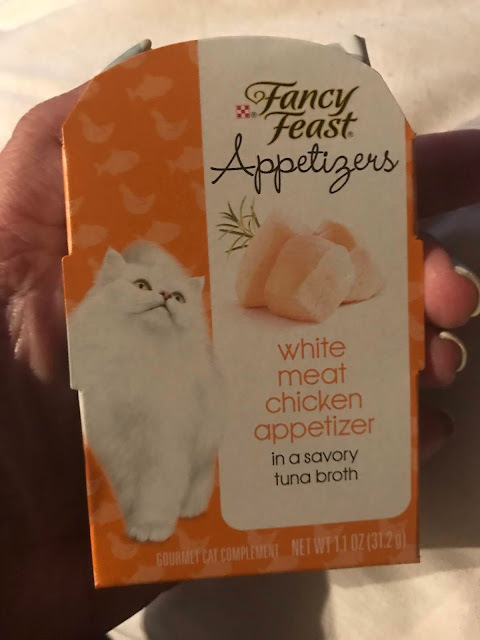 These Fancy Feast Appetizers are the perfect portion snack for her. It has tuna broth and shredded chicken, so it is easy for her to eat. These are available on Chewy in 10 packs.